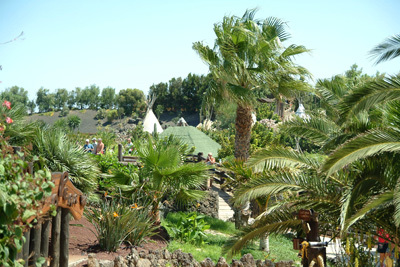 The main idea of the educational project of Rancho Texas Lanzarote Park has a clear message: the conservation of the natural environment and its inhabitants, and the interaction of man in it. During our tour of the park you can receive educational messages: touch animals, hear the sound of some of them and ask caregivers questions. To spend a day in our theme park can provide much more than a few hours of fun, as the educational project that we have developed is broad enough to reach different age groups, backgrounds and interests. The sensations produced by the animal-enclosure set we convey a powerful educational message. Education is based on public awareness of the need to conserve the natural environment. Therefore, there are two distinct aspects in the field of education: formal education, received and directed to the school education sector, and non-formal, bio-educational information with content aimed at the general public. Rancho Texas Lanzarote Park makes an effort to work with all schools in the island to visit our school and have firsthand environmental information.